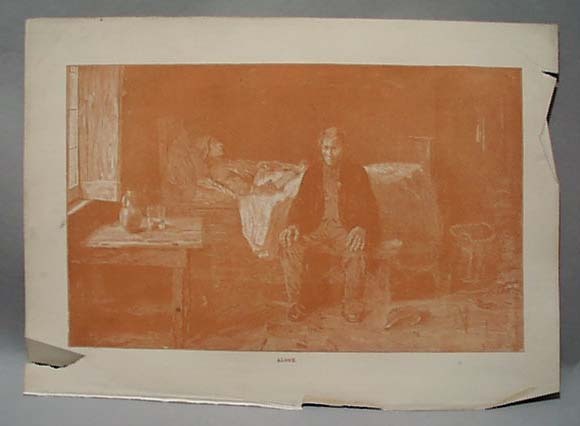 Sepia tone death scene 1888, entitled Alone. What a picture with emotion so displayed that you can feel the husbands anquish in this scene published in 1888. It does not have the authors original signature. Paper size is 10 x 7 1/2", printed area is 6 x 9". There are a couple of rips in the paper edge, one that goes just into the print but it will not show when framed. This is definitely a print you will not easily find. Items Similar To "Sepia Tone Death Scene 1888 Entitled Alone"